Magnesium and calcium are two of the biggest factors in your overall bone health. Both are also two of the top deficiencies in the human body, but can be found in a number of foods. They can also be gotten via supplementation. 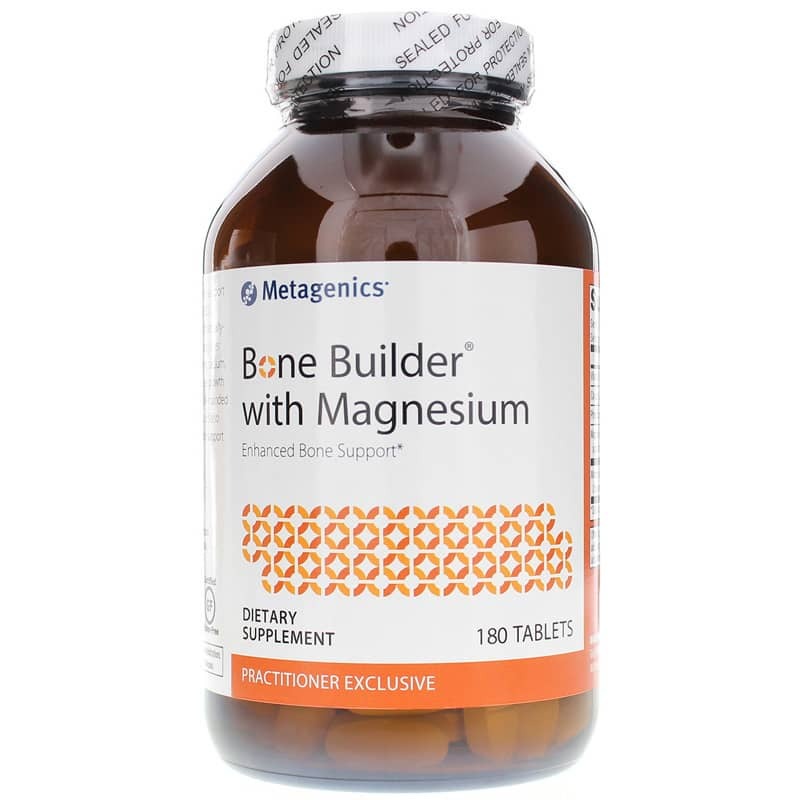 Bone Builder with Magnesium from Metagenics supports optimal bone health by delivers healthy doses of calcium, vitamin D, magnesium, and MCHC. Keep your bones healthy and strong so you can continue to do the things you love. 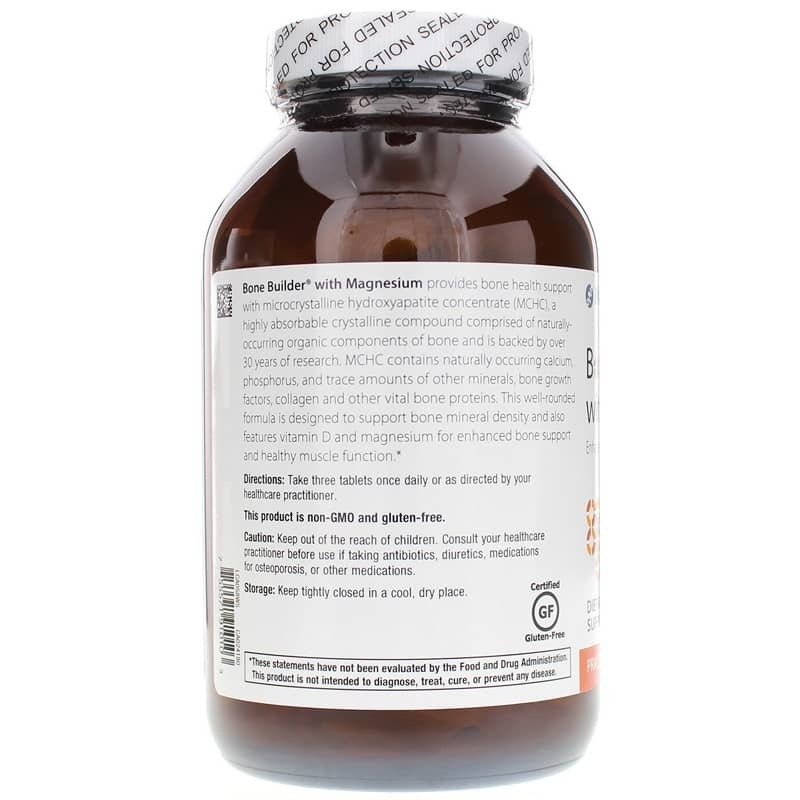 Choose Bone Builder with Magnesium from Metagenics today and see the difference it can make in your overall health! 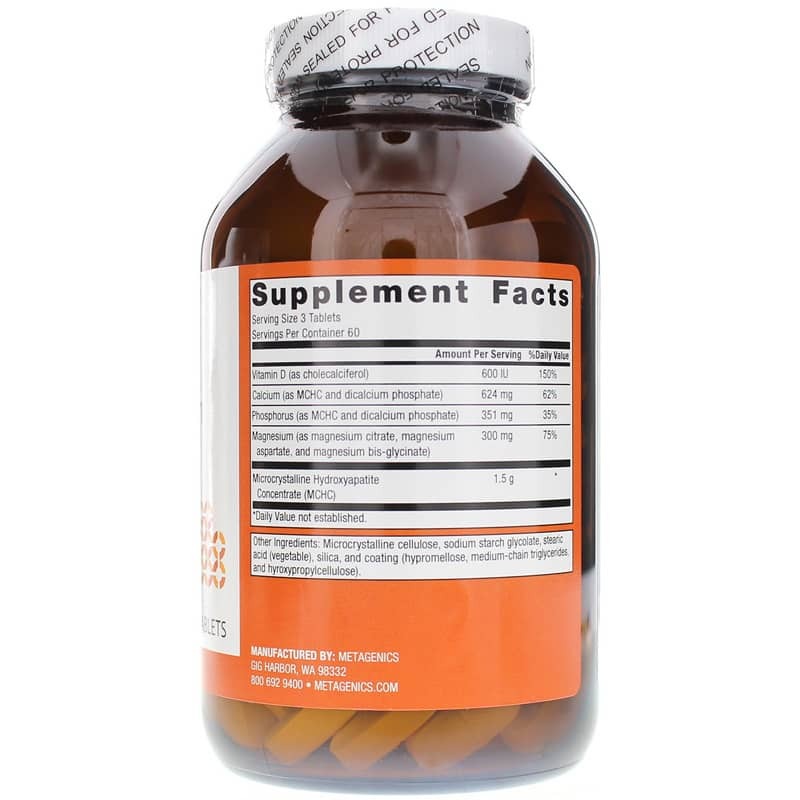 Other Ingredients: microcrystalline cellulose, sodium starch glycolate, stearic acid (vegetable), silica and coating (hypromellose, medium chain triglycerides, and hydroxypropylcellulose). Adults: Take 3 tablets once daily or as directed by your healthcare professional. I highly recommend Cal Apatite Bone Builder with Magnesium, buy would check elsewise. I found it for a lot less. Natural Healthy Concepts is the most comprehensive and outstanding on-line retailer of all your health care needs. Their offered products are professionally presented, carefully packaged and expediently delivered. I am very satisfied with my purchase of Cal Apatite from you. I will purchase again in the future.